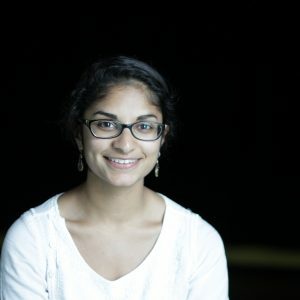 Haritha Popuri is an emerging dramaturg and researcher based in northern Ontario. In Fall 2016, she completed her M.A. in Theatre and Performance Studies at York University. During that time, she interned for the 37th Rhubarb Festival (Buddies in Bad Times Theatre Company) and performed in the Toronto Fringe Festival. After graduation, she worked in communications for the Sudbury Theatre Centre, served as script coordinator for Erin Shield's 'The Millennial Malcontent' (Tarragon Theatre, Spring 2016), and as an associate dramaturg for the 2017 PlaySmelter New Work Theatre Festival (Pat the Dog Theatre Creation). Currently, she is making missive mischief co-piloting 'The Letter Writing Project' in Sudbury and editing for The Theatre Times. When not musing about Walter Benjamin, you can find her making guacamole and sashaying to Sade.